Exclusive Mirrors are one of the largest online mirror stores in the UK. Boasting an extensive range of mirrors for just about any style and taste you are certain to find something from their collection. Exclusive Mirrors are offering 2 lucky winners the chance to win a £250.00 e-voucher to redeem against any mirror on their online store. This gives you the opportunity to find the perfect mirror for your interior or perhaps treat a friend or family member. Being a family run business Exclusive Mirrors have a goal to provide high quality mirror designs at affordable prices to all customers. Each product featured on their website has been handpicked by a specialist. They offer traditional designs such as round, glass framed and overmantle as well as more abstract and contemporary multi facet, heart shaped and full length mirror designs. 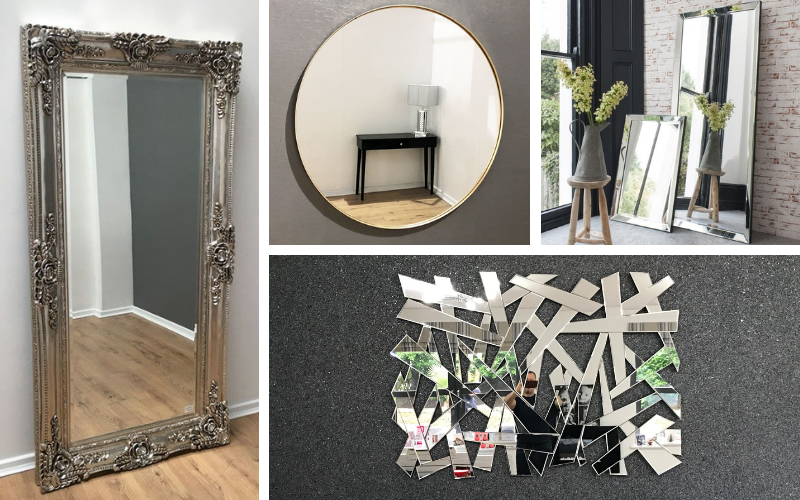 Exclusive Mirrors pride themselves on offering each of their mirrors at competitive prices all with free mainland UK delivery. There is no singular home accessory that has such an immediate impact on a room like a mirror. You can easily transform a plain wall and turn it into a stunning focal point, illuminating your room beautifully. Every mirror is crafted using the finest materials and offers a high quality finish. Shop Exclusive Mirrors entire range online at www.exclusivemirrors.co.uk or call them on 01709 477701.